It finally happened, I got my hands on a Gre-Gory. After posting my disappointment ten years ago (ulp!) I found a good deal on one and decided to take the plunge. More photos after the jump and my observations as I have never seen or held one of these in my life. My first impression from the box is how small it is, I was expecting Gre to be the size of a Mattel Rodan. He's actually about 12 inches long, so I totally don't have to worry about space. 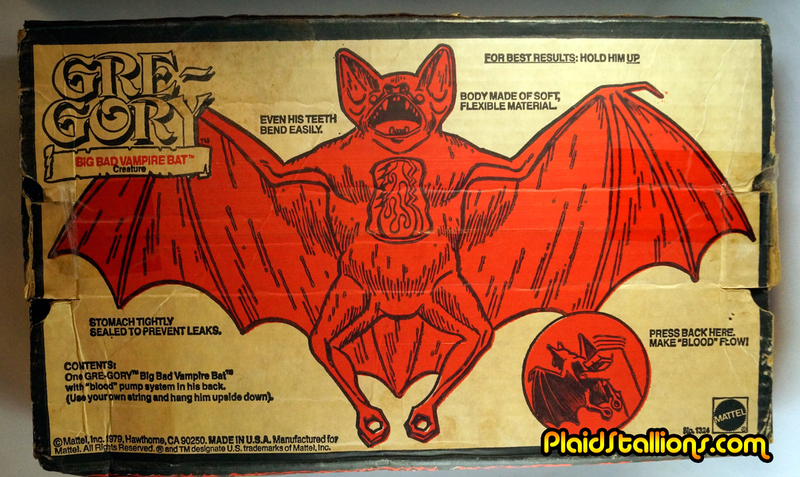 Of course, I wanted this toy more than air for a week when I was eight, so i was super excited to see what the fuss was all about. 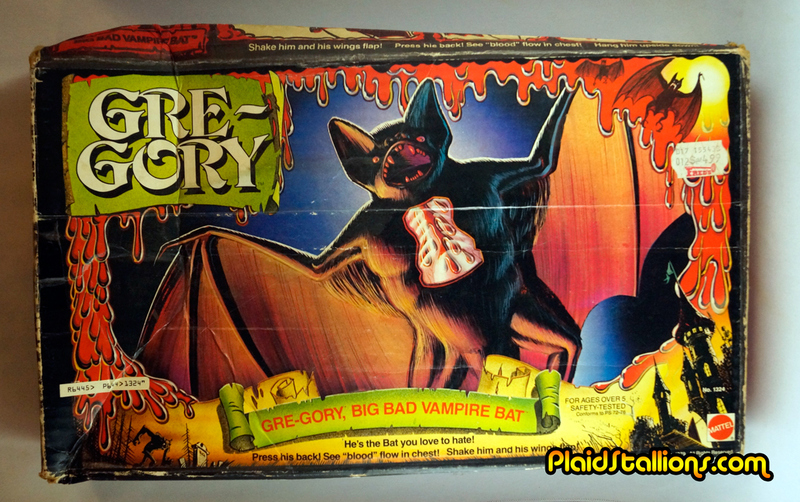 Gre-Gory is sort of the cadillac version of a dime store bat made by Imperial toys or Ben Cooper. He's bigger, heavier and has neat effects but he's still a big rubber bat. 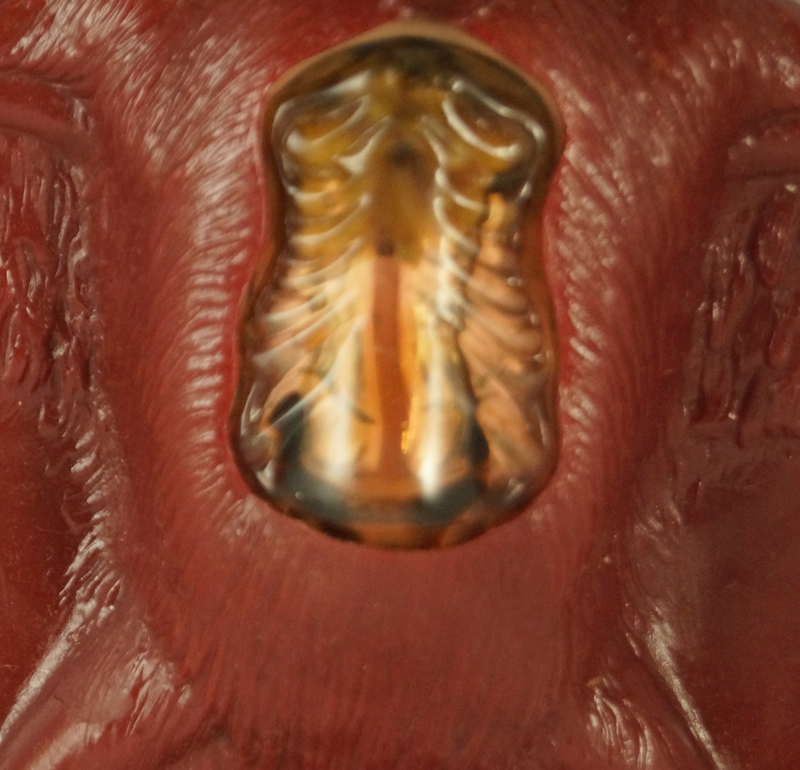 The Neat-o blood effect still kind of works on mine, it's thicker so it's kind of like a lava lamp but this would have impressed me for a while as a tot. 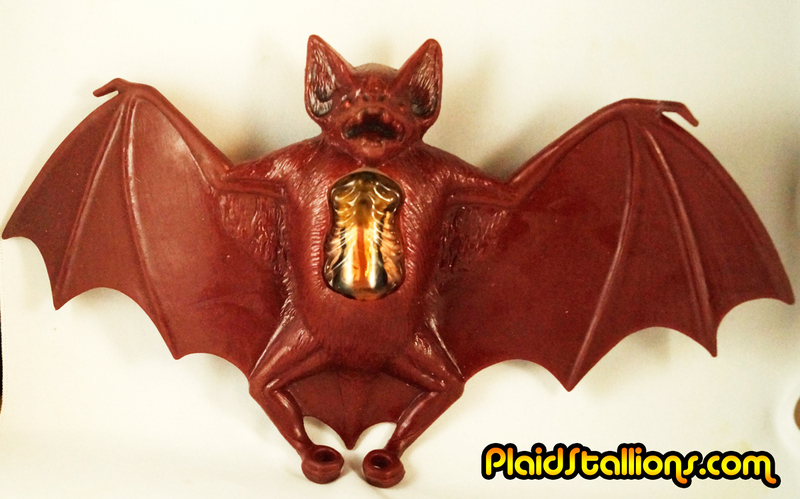 Mattel lists two other features, the first is to hold him by the back and make his wings flap. Ok that's not a huge selling feature Mattel. 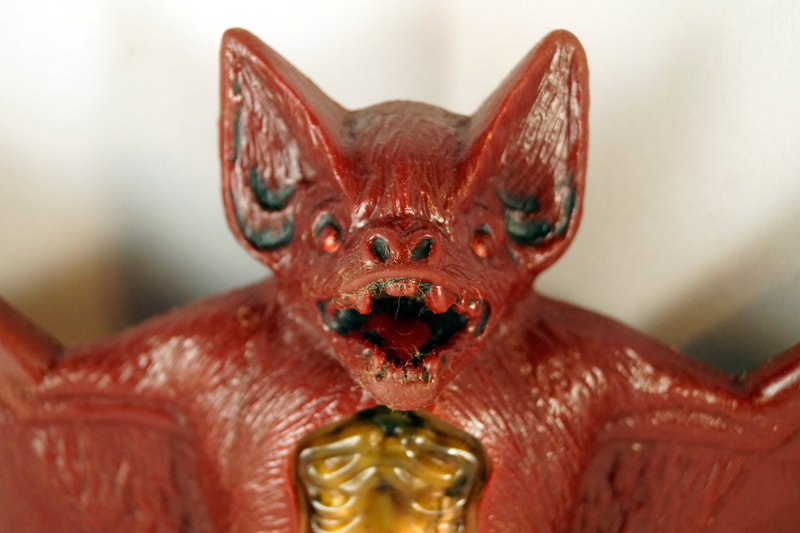 The final feature listed is his soft teeth that he can sink into your flesh. As a kid, I assumed it would created some sort of blood sucking effect. I wouldn't hold this against Mattel, I also expected Sea Monkies to look like people and build kingdoms. It only took me 38 years to track down Gre-Gory (and the same amount of time to get that his name is a play on "Gregory") but it's fun to add him to the collection.